It’s not been that long since the Galaxy S3 was launched, and now we have its big brother, the Galaxy Note2. Need a free unlock code to unlock your phone or device? So here’s my in-depth review for the new Note. I’ll be covering things like display, performance, call quality, and camera in this video. And I’ll upload a separate video showing the new s-pen’s capabilities, and interface features. 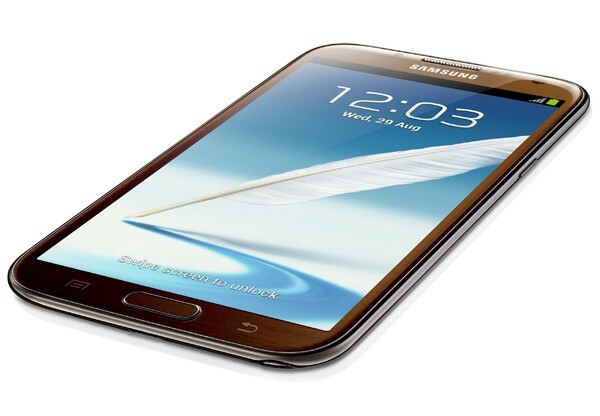 This year, the Note2 has gone quad-core, And comes with a larger 5.5 inch display and a redesigned s-pen. It’s brighter, faster and packing a huge battery. It certainly looks like a significant upgrade, But I’ll take you through some of the practical features so you can decide for yourself just how far it steps away from the Note1. In looks, the Galaxy Note2 is very much a bigger S3. It has the same smooth, curved design which, despite it’s size, makes it more comfortable to hold for long periods of time compared to the block-like shape of the Note1. The Note2 has a larger screen than the Note1, 5.5 inch compared to 5.3 inch. That extra screen size is actually accommodated by making the Note2 screen longer, and trimming away the top and bottom bezels slightly. So in overall length, the Note2 is 151.1mm, which is 4.2mm longer than the Note1. (Length: Note2 = 151.1mm, Note1 = 146.9mm) Because the screen size is adjusted with an increase in length, the Note2 is actually 2.5mm narrower than the Note1 (Width: Note2 = 80.5mm, Note1 = 83mm). Of course, this is a welcome change as far as fitting in the hand and pocket ability is concerned, but it does mean a move from the more tablet-like proportions of the Note1 with it’s 16:10 aspect ratio, to a more phone-like 16:9 aspect ratio. It seems to me that Samsung is aiming to move away from the tablet-like image of the Note and establish it purely in the smartphone sector. Something else that helps this transition is the fact that the Note2 is 0.3mm thinner than the Note1. It’s not a huge difference, but pretty impressive for a phone that has a larger screen and battery. (Thickness: Note2 = 9.4mm, Note1 = 9.7mm). There’s also a slight increase in weight, with the Note2 being 4 grams heavier than the Note1. But that’s not really noticeable when you hold them both together. (Weight: Note2 = 183g, Note1= 179g) Despite the narrower shape and slim profile, The Note2 is still not a phone for one-handed use, And it isn’t going to fit into tight pockets happily. Holding it up to your ear to answer a call is also going to feel awkward until you get used to it’s size. But at least in this aspect, it does better than the blocky Note1, I think. Once you’re past the size, pretty much everything else about the design of the Note2 is taken from the Galaxy S3. It has the same hyperglaze-coated polycarbonate build, With the white being more prone to picking up fingerprint smudges. If you look at the side buttons, the volume rocker button on one side, and the power button on the other, You’ll see that on the Note2 they both sit lower down on the sides, Whereas on the Note1, they’re placed much higher up. This lower placement on the Note2 makes it more convenient to reach the buttons. The next difference is in the home buttons of all three phones. The Note2 has a nicer-looking, rounder home button compared to the Note1, And it’s also better shaped compared to the S3’s rather thin home button. I’ve also found that the Note2’s home button has the more responsive press out of the three. On the front of the Note2, There’s the capacitive menu and back keys on either side of the home button. Above the screen, there’s the earpiece grille, proximity and light sensors, and front facing camera. The Note2 has a notification LED, something that was missing in the Note1. You get a different colour LED lighting up depending on whether the phone is charging, charged, booting up, has a notification and so on. The usual colours are red, green, and blue. Some apps let you customize the LED colour for different notifications. And you can enable or disable individual LED preferences in the settings. On the top, the Note2 has a 3.5mm headphone jack, and a pinhole secondary microphone. On the bottom, there’s the primary microphone, the microUSB port, and the s-pen in its housing. The microUSB port is used for charging and data transfer. It’s also an MHL port, but you’ll need to buy an MHL to HDMI connector from Samsung to enable video output. Same for USB-On-The-Go. You’ll need to buy a separate adapter for it. On the back of the phone there’s the 8 megapixel rear camera and LED flash, With the speaker grille down at the bottom. The back cover is removable, and you have access to the 3100mAh battery inside, the microSIM slot and the microSD card slot. The back cover itself is the same thin, flexible type seen in the S3, But in the Note2, the NFC antenna is on the back cover. Another thing to notice is that the Note2’s loudspeaker grille is larger than that of the Note1. And you can see what effect that has in the audio section of this review. Internal storage comes in choices of 16, 32, or 64GB. And the Note2 can recognise 64GB microSD cards. So, storage space need not be an issue. The Note2’s 5.5 inch screen has a pixel resolution of 1280×720, Which is less than the 1280×800 of the Note1’s 5.3 inch screen. So having a larger surface area, and losing the 80 pixels, gives the Note2 screen a pixel density of 267ppi, lower than the 285ppi of the Note1. Now, both these phones are stated to have Super AMOLED displays, So you’d immediately think that the Note2’s display would be less sharp due to the lower resolution, But that’s not the case. The difference actually lies in a new arrangement of subpixels for the Note2. So here’s a quick tech lecture for you, pay attention class! In an LCD screen, each pixel contains three equal-sized subpixels in a Red, Green, Blue – or RGB – stripe arrangement. And when a pixel lights up as white, all three of its subpixels light up together to make that white light. AMOLED screens, like those in the Note1 and the Galaxy S3, have a PenTile RG-BG subpixel arrangement where there are only two subpixels per pixel. One pixel has two-thirds red and one-third green subpixels, While the one next to it has two-thirds blue and one-third green subpixels. So to render a white pixel, the one pixel lights up its red and green subpixels, but also needs to borrow a blue subpixel from its neighbour. And this is why AMOLED screens typically aren’t as sharp as LCD screens of the same pixel density. With the Note2 however, the subpixel arrangement has been changed. Each pixel now has all three – red, green, and blue – subpixels, but not in a stripe arrangement. The blue subpixel is large and the red and green are stacked on top of each other. The reason for the larger blue subpixel is most likely to compensate for the shorter lifetime of the blue AMOLED, so it doesn’t have to emit as much light or work as hard as the other two. When a pixel lights up as white on the Note2, it has all the subpixels inside itself, just like in RGB stripe, and doesn’t need to go borrowing from it’s neighbour and get all spaced out. And there you have it. RGB stripe in LCD displays, the RG-BG PenTile AMOLED display of the S3 and Note1, and now the non-PenTile AMOLED display of the Note2. So theoretically, even with a lower pixel density, the Note2’s display should be brighter and sharper than the Note1’s. And here’s what both displays look like compared practically, And all these tests were done at standard screen mode setting, and maximum brightness for both phones. Let’s begin with the desktop view of a website, one I’m sure you’re all familiar with . Even though the Note2 display is not as wide as the Note1’s, it still shows the same amount of website in desktop view. The fonts and images are the same size on both, But everything looks clearer and has more contrast on the Note2 display. If we look at a mobile version of a website (bbc.co.uk), The same amount of content fits on both displays, With fonts and images at the same size. The biggest difference being the Note2 doing better for brightness and contrast again. On the desktop version of the bbc site, Right at the bottom, the Note2 shows double the extra white space that the Note1 does. I want to throw in a quick keyboard comparison here. The keys are the same size, but the note2 uses larger fonts. That along with the better contrast made the Note2 keyboard easier to use for me. Also, it has a faster response than the Note1’s keyboard. Now this could be due to Jelly Bean, so once the Note1 is upgraded there may not be such a difference. We shall see. Back to the displays, and we’re going to take a look at some of my favourites; magazines! Here the Note2 shows closer to normal colour, And the images look just so much more vibrant. I actually prefer how magazines look on the Note2, even with its narrower screen. When it comes to reading on the Kindle app, Even at same font settings on both phones, The Note2 shows slightly larger fonts and more spaced out words. It also has better contrast with a whiter background. If we take a look at the text in bright sunlight, The Note2 does better for clarity. You get the same result when you’re watching videos in bright sunlight. The Note2 screen is more legible, You can make out colours better, And there’s less screen glare compared to the Note1. You can see the difference in brightness and vibrancy looking at the displays indoors. Notice how the Note2’s display is sharper, and picking up on more detail in the image. This a 1080p widescreen video, And the Note1 is letterboxing it with black bars, While the Note2 with it’s 16:9 aspect ratio is fitting it to the full display. I want to show colour comparison in more detail. Notice how the Note2 is brighter. The pink is more vibrant, but still saturated on both. This field of orange flowers shows the deep green saturation on both displays. Here with the runner bean flowers, the Note2 is still brighter and more vibrant. Both displays are showing deep colours here, with the Note1 being greyer. On the purple flowers, you can see how some detail in shadowy areas is lost. But colours are pretty good. There’s saturation to the colours on the butterfly’s wing, but nothing terrible. The caterpillar is a good example of how detail is lost in dark areas. And looking at the clouds in this video, the Note2’s display is not as blue-tinged as the Note1’s. Here’s a quick comparison of the four screen modes on the Note2. In standard mode the colours are saturated, And even more so in dynamic mode. Natural mode comes close to true colour, While movie mode is a bit more greyed out. Greens are still saturated in all four modes, And some detail is still lost in dark areas. I think the Note2’s standard mode is doing a much better job of coming closer to true colour than the Galaxy S3’s did. And if you want to check out the difference, I have a short video up on showing the S3’s screen modes. The Note 2’s performance has been consistently fast and smooth. A lot of factors contribute to this, the main one being the quad-core 1.6 GHz processor. This is an over-clocked version of the Galaxy S3’s quad-core 1.4 GHz processor. The Note 2 also has 2 GB (gigabytes) of RAM. Compared to the Note 1, with it’s dual-core 1.4 GHz processor and 1 GB of RAM, the Note 2’s performance is noticeably fast and smooth. Graphics performance is also improved in the Note 2. It has the same Mali-400 GPU as the Galaxy S3, And this is an over-clocked version of the Note 1’s Mali-400 GPU. I have some benchmark results that show the difference between the Note 2, the Note 1, and the Galaxy S3 in terms of CPU and GPU performance, and browser performance. And you can see that the Note2’s over clocked quad core processor and 2GB of RAM really pull their weight. Of course, software adds a lot to the smooth performance of the Note 2. It’s running the latest version of Android 4.1 – Jelly Bean – Which, because of ‘Project Butter’, makes the entire interface render at 60 fps giving it a lag-free and buttery-smooth performance. Because of this, and it’s hardware capabilities, the Note 2 manages to smoothly handle the much heavier Touchwiz user interface that it comes with. The Note 2’s version of Touchwiz has all the ‘smart’ features of the Galaxy S3, such as smart stay, smart alert, direct call, and so on. It also has several new features of it’s own, particularly enhanced features for the S-Pen. If you’d like to find out more about the smart features of the Note 2 and the Galaxy S3, check out my in-depth S3 review. I’ll also be uploading a separate video showing the Note2’s s-pen and interface features in more detail. The version of the Note 2 that I have is the international 3G quad-core version. Just like with the Note 1 and the Galaxy S3, connection has been reliable with no dropped calls. The Note 2 also has dual-band wi-fi as well as wifi direct. There’s NFC capability, so you can transfer files using Android Beam with other NFC-capable devices. Or, you can use the faster S-Beam to transfer files between the Note 2 and the Galaxy S3. The Note 2 has GPS with GLONASS and assisted-GPS. It sees and locks onto satellites very quickly, And keeps a good connection. Maps on the Note 2 look as good as they did on the Note 1, due to the large screen estate. In fact, they look even better on the Note 2 with the brighter screen and better contrast. And this is with both displays at full brightness. There are a few different call settings in the Note2, but I found the default standard setting to be the best and that’s the one I’ve used in the following call quality example. There was a time when Truth went among the people unadorned, as naked Truth. Whoever saw Truth turned away in fear or in shame because they could not face him.. Truth wandered among the peoples of the earth, unwelcome, rebuffed and unwanted. One day, friendless and alone, he met Parable strolling happily along, dressed in fine and many coloured clothes. “Truth why are you so sad, so miserable?” asked Parable, with a cheerful smile. “Because I am so old and so ugly that people avoid me,” said Truth dourly. “Nonsense!” laughed Parable. “That is not why people avoid you. Borrow some of my clothes, go among the people and see what happens.” So Truth donned some of Parable’s lovely garments, and wherever he now went he was welcome. People cannot face naked Truth, they much prefer him disguised in the clothing of Parable. Don Quixote Comparing the two phones, The Note2’s in-call quality is much louder and clearer than the Note1’s. Audio output through the loudspeaker is another thing I tested. And this was done at maximum volume for both phones, And recorded at a distance of one meter from the phone. Here’s an example of voice through the loudspeaker: Peace. It does not mean to be in a place where there is no noise, trouble, or hard work. It means to be in the midst of these things and still be calm in your heart. And next, here’s what music sounds like… The Note2 again does better here for loudness. And in my use, I’ve found that the volume level is enough to hear it in most situations, Except perhaps in a room where you’ve got a lot of people talking at the same time. The Note2 has an 8 megapixel rear camera, which captures 1080p video, And a front 1.9 megapixel camera, which can record 720p video. Practically, it was never easy holding the Note1 up to take a photo or video, And I had the same issue with the Note2. I felt it was even more slippery to hold up and focus, So I’ll definitely be getting a sturdy grip case for it like I did for the Note1. There are a lot of features in the Note2’s camera app, Like burst mode with best shot, HDR, panorama, and share shot. All features that are in the Galaxy S3’s camera app. I want to take a look at how the camera does in regular use, And find out how different it is from the Note1’s 8 megapixel camera. This is 1080p video recording from both Note1 and Note2. You can immediately see that the Note2 video is much more vibrant. And looking at this green bush, it’s showing a truer colour compared to the Note1. Both phones are overexposing the video somewhat, But the Note2 is not doing it as much as the Note1. Looking at the water surface here, the Note2 is getting it closer to original. Next, I’ve got an example of audio recorded with video. And these videos were taken at the same time on both phones. The Note2 definitely produces a cleaner audio. It seems to be cancelling out a lot of unwanted background noise, especially machine like crackles, And focusing more on noises that are closer. This last example was taken in the dark, using just the flash. The Note2 is showing richer colour and detail in my little Christmas scene, while the flash on the Note1 has blown out some of the detail. Certainly the Note2 is showing closer to original colour. While the Note1 has a 2500 mAh battery, the Note2’s battery is a huge 3100 mAh, And it lasts. With my type of normal use, I can easily go a full day or more without needing to recharge. I did test it with a day of very heavy use, however, with things like video playback, GPS and maps, benchmark tests, and so on. The battery lasted over 12 hours, and my screen on time was over 8 hours. Here are some ten minute battery usage figures for common activities. All these were done at 50 percent brightness, and with all connections, including wi-fi, turned off. Ten minutes of capturing 1080p video on the camera used 3 percent. Ten minutes of playing graphic intensive games used 4 percent battery, While less intensive games used 3 percent. Ten minutes of browsing with wi-fi turned on used 1 percent. Ten minutes of watching a 1080p movie used 2 percent. Ten minutes of reading an ebook used 1 percent. A ten minute phone-call used 1 percent. and ten minutes of listening to music used just half percent. If you love large screens and don’t mind getting two-handed with it, And if you’ve got rather big pockets, or a handy carry bag, Then the Note2 is clearly the phone for you. As you saw, it’s just faster and better in every way. And because of it, now the Note1 feels slow. If I hadn’t used the Note2, I wouldn’t have felt the Note1 is lacking. The biggest change from the Note1 isn’t just the processor or the larger battery, But the display itself. On paper the Note2 display may have a lower resolution, But in reality, it’s sharper and brighter, a different AMOLED. And all this is just the hardware. I haven’t even shown you the new s-pen’s capabilities yet. So, I’ll upload that in my next video, Along with some interface goodies that really turn the Note2 from being just a phone into a true multimedia and work device. Quick Reviews: Microsoft Lumia 950 Quick Review ! Nexus 5X Quick Review !